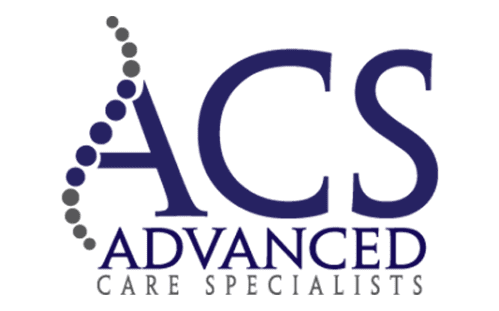 At Advanced Care Specialists in Racine and Mount Pleasant, Wisconsin, you can find highly trained specialists who provide expert chiropractic care, which includes diagnosing and treating disorders of your musculoskeletal system and nervous system. Through spinal adjustments and various other therapies, your chiropractor helps you to increase your range of motion and restore function to your nervous system, thereby allowing your body to heal naturally. Call today to schedule time with one of Advanced Care Specialists’ chiropractors to meet your individualized chiropractic needs or book your appointment online. Chiropractors use spinal adjustments to restore motion to the joint. Restoring motion allows for the body to return to normal. Chiropractic care, therefore, directly addresses the problem at its point of origin rather than just treating your symptoms. Chiropractic care is a specialized field that is extremely helpful for those suffering from chronic pain, stiffness, and immobility. At Advanced Care Specialists, your chiropractor offers sports chiropractic care and wellness chiropractic care. The chiropractic team can treat and help manage pain from a variety of different injuries and syndromes. Without using drugs, chiropractors work to heal your body, typically through spinal adjustments and manipulation, by restoring motion to the joint to allow your body to move properly. The staff at Advanced Care Specialists obtains your health history and performs an examination consisting of a consultation, case history, and physical examination to determine your specific needs. The physical examination may also include an X-ray and other tests to determine if there are any altered positions of the vertebrae. Once a diagnosis is made, your chiropractor establishes an individualized treatment plan designed to restore your joint motion, improve your range of motion, and relieve your pain. Aside from using chiropractic adjustments to help alleviate pain, your chiropractor can also help you develop a care routine that prevents your conditions from returning. What therapies and treatments are included in chiropractic care? How long does chiropractic care take to show effectiveness? Everyone heals at a different rate, depending on factors such as age, activity level, and how long you have been plagued by your problem. The chiropractors at Advanced Care Specialists don’t only focus on your pain — they also focus on fixing the root of the problem that has caused your pain so that it doesn’t return in the future. Generally, patients tend to start getting pain relief after the first few visits. Your age also plays a significant role in the healing process. Younger patients in their 20s and early 30s tend to respond to chiropractic care faster than middle-aged patients. Those who are past middle age may have a slower response to chiropractic care.